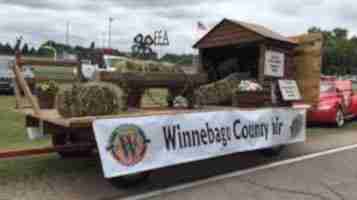 The Winnebago County Fair continues today in Thompson. Fair Board President Tom Thompson highlights the days activities , including the Celebrity Donkey Races. Saturdays activities include a new rodeo coming to the fair. Sunday features the demolition derby.